Used in 168 recipes at an average of 2.974%. This recipe came about because i REALLY wanted to use VTA Chocolate Mousse and WF SC Mascarpone Cream Cheese together. I knew they'd compliment each other beautifully to give me a chocolate cheesecake that I fluffed up with some Cap NY Cheesecake. . I'm using the Caramel Rice Crispy Treats and AP combination to build my crust. Overall, I am happy with it. This is an all day vape of mine for a few months. Thought I would share on ATF. 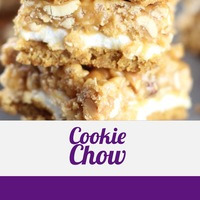 A chewy crispy cookie with a hint of caramel and honeycomb This is using a few of my favorite concentrates. It is Addicting!!! Calipitter Chow concentrate can be purchased at Chefs Flavours. It is time to "come out" onto the Streets with this one and have a really happy time. 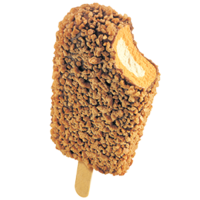 This one is based on a glorious Australian icecream that is up there with the best and is certainly a staple to the Ozzie diet! The icecream base at the centre is VT toffee ice cream with some assistance from LB VIC. Flavor boosts to the icecream come from Caramel Candy and Caramel. Sweeten to taste and add cooling if you like I suggest less than 0.5% Polar Blast which works better with creams than WS-23. As with most recipes this should get you close enough and then just tweek to your liking. If you don't have toffee dream cream just leave it out, want more chocolate do it, don't have VT use MB, want HS ice cream in it at 0.5% go your hardest. If you think you can add some LK pencil shavings that is fine with me I just want you to be very, very happy, just have have a good old Gay Time. My first published recipe EVER! 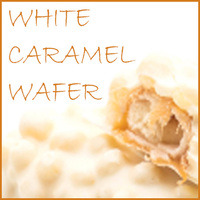 White chocolate covered caramel wafers are one of my favourite treats to snack on. I do prefer the type with the caramel flavoured wafer rather than the chewy sweet caramel that some have. This is a crack at that! The mix of VT White Chocolate Base, TPA White Chocolate and LA Cream Cheese Icing gave that perfect creamy sweet vanilla flavoured coating that melts on your fingers as your eat a treat of this type. To some, TPA will give a slight peppery note for the first day or two but will eventually turn the mix creamy and sweet. Combining WF Caramel Rice Crispy Treat and TPA Rice Crunchies this low was originally there to aid the wafer with being 'crispy' but turned the mix into something new. We now have it as a middle note that adds to the authenticity of the profile. WF Crispy Wafer SC is not a super concentrate IMO. I had to raise it up to compete with the chocolate and sits under that and the rice. Used low it is subtle and works in the way that I hoped for Rice Crunchies to originally, adding crispiness to the rice. DFS Holy Vanilla at .5% adds a hint of vanilla that blends the choc to the wafer. For a slightly stronger/chewier caramel try adding .5-1% FA Carmel(Caramel) or 1.5-2% TPA Caramel Candy to boost the WF Caramel Rice Crispy Treats. Trying out some new flavors. What more can I say . 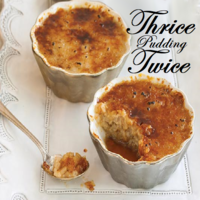 . . three rices and two puddings (with a little bit of Caramel Butter for a bit more buttery richness). This works great as a SNV . . . the rices come together to make an extremely accurate rice flavor. Mixed with a buttery, caramel pudding, I find this to be a smooth, sweet, and savory vape. Mixed at 60vg/40pg . . . it will be interesting to see if the VT Rice Base can hold the FE Sweet Rice flavor together (instead of it devolving into a generic stacrch). The WF Caramel Rice Crispy adds a touch of rice but is an important element of the caramel note paired with WF Caramel Butter. 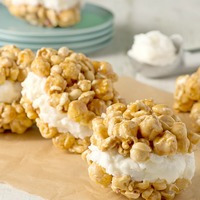 This is supposed to emulate a ice cream sandwich using caramel popcorn slabs as the outer sandwich and vanilla ice cream or frozen yogurt in the middle. I thought they looked and sounded delicious so why not make it into a vape juice flavor???? So I did and here it is!!! ENJOY!!!! 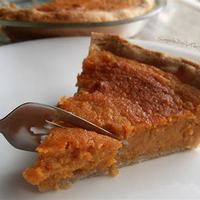 So I have been playing with this profile for a little while each time the recipes were really good but each time I wanted to adjust a few things keeping the main ingredients the same. The thing I kept adjusting was the popcorn percentage and the ice cream and or combination to make the ice cream. I found with the popcorn .75% was a little weak and 1.25% was a little strong with a butaric note so I met in the middle at 1%. Flavorah popcorn mixed with caramel rice crispy treat makes a perfect caramel corn flavor. So once I had that perfect its on to the ice cream I did a version with just 5% LB vanilla ice cream and it worked and was good but I am just not a huge fan of LB vanilla ice cream but it is a viable substitute for my ice cream combination. I also tried a thicker more buttery ice cream mixture using tfa and the was OK but still not what I wanted pet say. Lately I have been playing with wonder flavours sc frozen yogurt and what I have found is that 2% of wfsc frozen yogurt and 2% vanilla cream extra it works in almost all the places you would use a vanilla ice cream concentrates. I used frozen yogurt at 2.5% because the caramel popcorn is a strong flavor combination and figured a little extra creaminess could only help the ice cream come through the caramel corn aspect of this recipe. Sweetener: Use it or don't use it it doesn't matter to me its an additive for a reason. I am possibly going to only list sweeteners In my recipes if the recipe absolutely must have it to taste right. This is not one of those mixes but I still used .35% of Flavorah sweetness but you use or don't use your sweetener of choice. Flavorah sweetness is my favorite sweetener and the only one I use now.